Gone to See Europe. Semester at Sea Spring 2013 Enrichment Voyage on the MV Explorer. Day 42: Stockholm, Sweden. 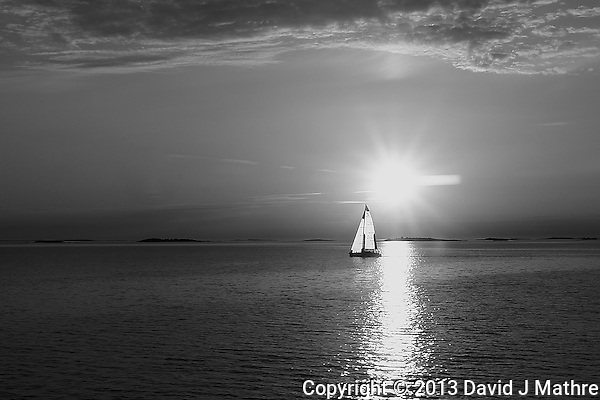 Silhouette of a Sailboat at Sunrise on the way to Stockholm. The image was taken from my cabin. The sun rises very early (before 04:00) this far north. Trying to capture both sunrise and sunset everyday is a challenge.